London Rocks is a bespoke jewellery studio focusing on creating one-off artistic pieces. We have an in house workshop which allows the public to see into the world of our workshop which is the heart and soul of London Rocks. The business was founded by duo Carl and Harshini Carter, we opened our doors in 2014 in the Heart of London’s Jewellery Quarter. Offering something completely unique to the bespoke jewellery design trade, we continue to combine traditional handmade techniques with contemporary aesthetic across a range of fine and designer items. Our studio features a variety of styles creating an inspirational space to view beautifully crafted engagement, wedding and eternity rings as well as unique dress jewellery. Carl, the founder of London Rocks, is a traditionally trained diamond mounter who has been working in Hatton Garden for the past 25 years. Having trained as an apprentice, followed by working at a top Mayfair Jewellers, he and his wife Harshini wanted to bring clients behind the shopfront and into the workshop, where each piece of jewellery is lovingly hand-made by the craftsman themselves. The coolest and best moment of our career is opening our store on Leather Lane. Originally we were located on Hatton Garden but decided to move to Leather Lane to combine both our studio and workshop in one place. We worked very hard to make this happen and it has really paid off as we get such a unique client base walking through our doors. Leather Lane is a creative and buzzing area and we attract a lot of clients due to our off the beat and track location and we offer a relaxing and homely atmosphere as soon as you walk in the door. The best part of our studio is having a glass section in the floor so that our client's can look down in to our workshop to see the magic happening right in front of their eyes. Our team are our inspiration. We have 8 members combined in the studio and workshop with such a good mix of personality and talent. In our studio we are always throwing ideas around to make the most of our creativity and learn from each other. We encourage everyone from our designers and craftsman to our administration team to share their ideas which creates a very inspirational environment. Our aim is to be different from other jewellers and we love to work with unique and rare gem stones which are not always going to be the most obvious choice but make our clients feel so special when they wear them. There is nothing better than sitting down at the bench and creating a piece of jewellery from scratch. This is extremely therapeutic, rewarding and challenging all at the same time. The feeling is amazing when a client takes home a piece of jewellery which has been hand made and has so much energy and love put into making it. Being able to have the freedom to create anything we want is amazing, no idea is too big or too small. We all have challenging days when it feels like a piece won't go the way we want but when it does it is the biggest reward to know that we have challenged ourselves and over come our problems to create our dream. The most curious thing about our business is our workshop. When clients visit the studio they find being able to see and visit the workshop fascinating. Our aim is to open up our workshop to the world and give everyone a behind the scenes look in to our world of making jewellery. We have the glass floor which allows anyone visiting the studio to see our artists at work. One day they may be making a special engagement ring and the next they will be making a dress pair of earrings for someone's birthday. It is great to be able to share our passion and allow for our clients to have a story behind how and where their jewellery was created. Our top advice for couples getting married is be unique and find something very special. Don't just go with something generic or cheap. Wedding rings and wedding jewellery are so sentimental and will symbolise a couple's special day forever. We love to create custom and personalised jewellery for our clients to make their big day extra special. 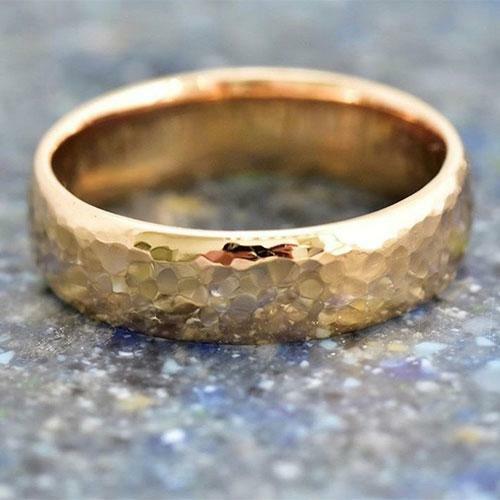 A lot of people forget to allow a good budget for their wedding jewellery and spend it on other things but your wedding rings are something that you will be wearing for the rest of your life not just for the day. If you want to come and see the London Rocks team in the flesh, grab your tickets now!